Fiverr is an online marketplace which offers services and products globally starting the cost from $5. This marketplace is well known worldwide, so there are millions of visitors on Fiverr. There are thousands of sellers in several service categories. A service or product is known as a gig. When you search in Fiverr, you can find almost any kind of gigs you imagine. You can order a gig from any part of the world. Like that, you can sell any gig from anywhere. All gigs are digitally deliverable and the minimum price of a gig is $5. 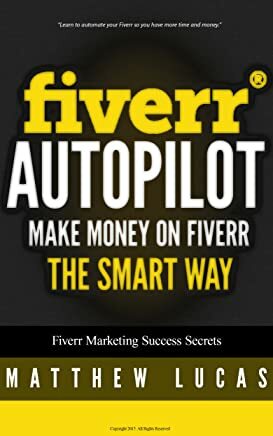 As there is a lot of visitors everyday, making money by selling a service is easy on Fiverr. 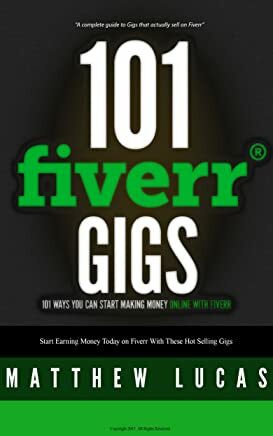 To make money from Fiverr, become a seller and sell a service (gig) you can do. Know your skills that can help people. It can be image designing, digital marketing, music, video, advertising or anything you can think of. When people find your gig, they order it. Deliver the service in the stipulated time duration and get paid. You work here as a freelancer. Before becoming a seller, first learn how Fiverr works. This is a very important step. Learn how people search and find a gig to fulfil their needs. Also learn how a seller deliver it on time. The easiest way to learn it is to buy a gig or two and learn how the seller delivers it to you. Don’t skip it if you don’t have any previous selling skills at Fiverr. By doing so, you can become a successful seller and earn a lot like experienced sellers earn over $50,000 per year. Every time before I list a gig, I do so by ordering a similar gig, because doing so helps me learn how much quality service the seller can deliver to me. After landing on Fiverr homepage, click Join and register yourself with your details. If Fiverr requires you to confirm your email and mobile number, do so as instructed. Then, make sure you have a PayPal account. It is required to buy a gig as well as to get your earnings from Fiverr sales. If you don’t already have it, go to www.paypal.com and sign up. Then, add your bank account details and add debit/credit card. Come back to Fiverr. Like other people do, look for any service using the search box. Think yourself like a buyer. For example, think you have a website and want to write some articles for visitors. But you can’t write them or you don’t have time to write them. So, you look for article writers. In Fiverr search box, type keywords like ‘article writing’ or ‘content writing’ and search. You can search any other gigs by doing so. Then, view the gig details from the results and check if there is any gig to be met your requirements. If you find any gig that fulfils your requirements, order and provide the seller’s requirements to complete the work to your best satisfaction. You can give extra charge if you want faster delivery than the seller’s normal delivery schedule. Wait for the promised delivery time. Once delivered, check how the seller delivered and also check the service quality. If not satisfied, you can ask for improving it. Or if fully satisfied, you can leave a positive feedback to the seller. Now, you have selling ideas. Let’s start listing your first gig. How to List a Gig at Fiverr? Check how they write the title attractively. Check how they write the description to pull orders. Check what image or video they use. Check if they give any bonus. Check if they use any strategy to sell faster. After analysing the above from other gigs available and understanding the clients needs in mind, prepare to create your gig. Write attention-driving title, write better description, and use attractive images or videos. Give better price and give a bonus if possible. Then, click on ‘Become a Seller’ found at the top right corner. List your gig by filling the required fields and publish it. After a few moments, your gig is available online for clients from anywhere. 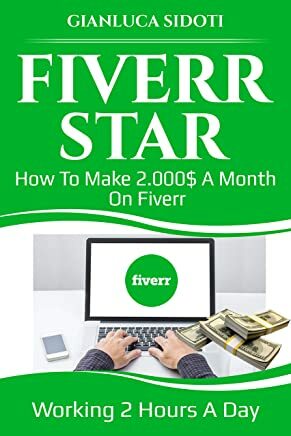 How to Make Money Easily from Fiverr? Sell Pre-written Content: Write a report or a short book that solves a problem. Make sure you mention in the gig description that you retain all copyright and don’t sell any resale right authorisation. By doing so, you can sell it again and again instead of doing a fresh work every time you get an order. Sell Site Traffic: Every site owners want visitors to their sites. If you have a decent number of friends with your social media accounts (like Facebook, Twitter, YouTube etc. ), you can sell traffic for the clients websites. They will happily pay $5 or more for driving visitors to their target pages. Write and Get Paid: Article writing is one of the most demanding gigs on Fiverr. You can earn $5 easily for writing a 400-500 word article. You can offer the service on a specific niche or any niche to grab more orders. Create Logos and Drawings: If you are experienced in using image editing tools, you can earn a lot easily. Many people and businesses are looking for services for designing their logos and creating a stunning drawing and photo. Sell SEO Services: Most website owners are lack of SEO skills to improve their site rankings in search engine result positions (SERPs). If you are experienced in SEO, you can offer many kinds of SEO services to help the webmasters and earn a good income easily. Design Business Cards and Flyers: There is no shortage of demand for business card and flyer designing. If you can use Photoshop with ease, you can make a good source of earnings easily. Write Reviews: Offer product review services. Customers buy a product after they read a review. For website owners and business owners, you can create a review writing gig to help them sell their items, books, software products or anything. Create Video Tutorials: If you can shoot videos and talk to them, start a gig on it. Such gigs are hot in Fiverr. Create interesting videos for product promotion, brand promotion, and make money easily. Fix Website Issues: When website owners encounter a technical issue with their site, they look out for solutions. If you have such knowledge, you can start a gig to help them for setting up a WordPress site, designing a blog, fixing site issues etc. If you are interested to this article, please share this page to your social media fans at Facebook, Twitter, Instagram etc. If you have any comment, please leave it in the comment box below. By doing so, you’ll help us improve this site further.